Restored, rewired, ready to install. 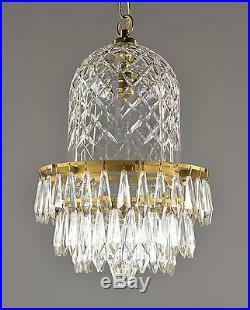 Waterford Brand Crystal & Brass Bell Chandelier c1950. 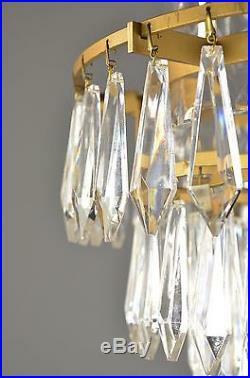 Offered here is a Waterford brand crystal chandelier, made in Ireland around the 1950's. 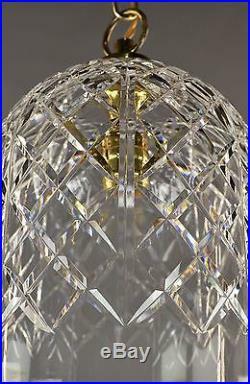 Each crystal has the Waterford brand etching. 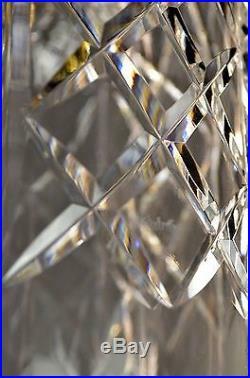 This piece is in excellent condition, all of the crystals are present, and the bell is in great condition. This piece has been cleaned, rewired and restored by our restoration staff. 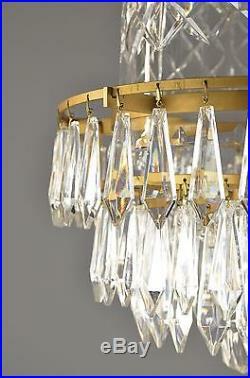 This chandelier measures 19" tall by 12" wide, and includes 36 of chain and a matching ceiling canopy. 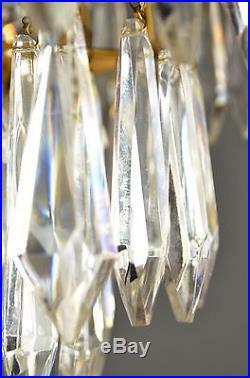 This chandelier has one socket, accepting one 100 watt Edison based bulb. Please do not provide a P. Designed & Developed by designin labs. 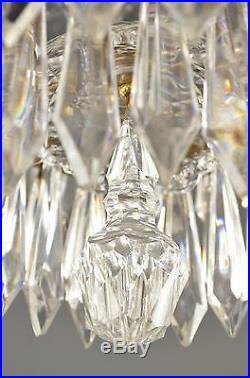 The item "Waterford Brand Crystal & Brass Bell Chandelier c1950 Vintage Antique Gold Glass" is in sale since Tuesday, June 13, 2017. 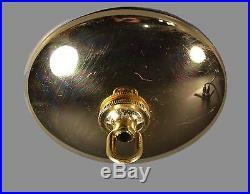 This item is in the category "Antiques\Architectural & Garden\Chandeliers, Fixtures, Sconces". The seller is "lighting_galleries" and is located in Saint Louis, Missouri.